You may have thought about broaching the subject of assisted living facilities to an elderly parent, but it never seemed like a good time. 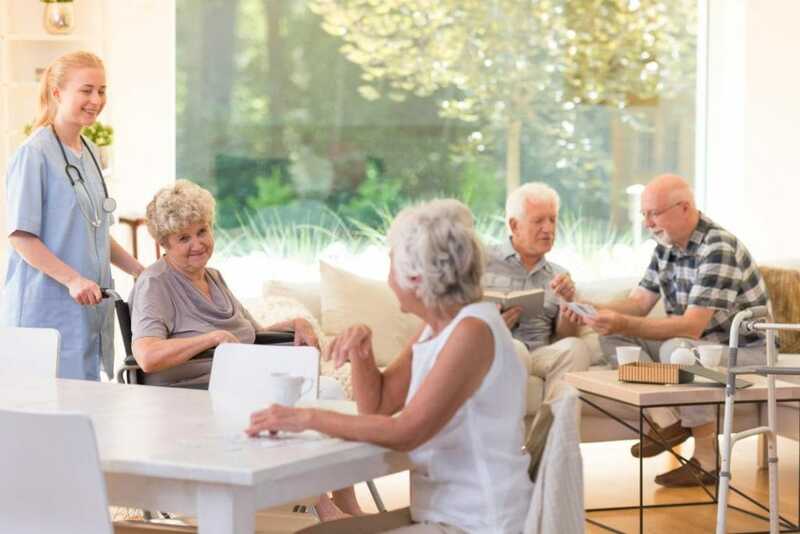 In this guide, you’ll learn how to discuss the possibility of moving to an assisted living facility without hurting their feelings. What if you didn’t know how to take care of your parents simply because you never made the time to talk? Over time, our parents will begin requiring elderly care. It’s important to know what they want from an assisted living facility. However, it’s impossible to know what they want without talking with them about it. And many children do not have this discussion because they do not know how to start it, much less what topics to cover. We’ve got you covered, though. Keep reading for our guide to talking about assisted living facilities with your parents! Assisted Living Facilities or House? Perhaps the biggest question when it comes to elderly parents and assisted living is whether to use a facility at all. After all, it’s possible for children and hired help to try to care for parents in their own home. Many children assume their parents would prefer staying in their own home. However, it’s important to talk about some of the realities of home care. It may not be possible for children to provide the level of care their parents need. This may be due to lack of schedule availability and the simple fact that the children are not trained professionals. It’s also worth discussing the cost. Many believe that staying at home is the cheaper option when compared to assisted living facilities. But by the time you pay for third-party assistance for twenty-four hours a day, home care might rival simply caring for them in their own home. The predominant emotion that children feel about placing their parents in an elder care facility is guilt. They worry that they are somehow giving up on their parents or not taking enough responsibility for the required level of care. Having a discussion about assisted living facilities with your parents can help you avoid some of this guilt. And it also provides an opportunity to realistically talk about your own needs. By this point, you likely have a family of your own and a job that keeps you busy. And you may have your own home that is far away from them. Most parents would not want you to give up your own life and happiness to take care of them. A facility is far preferable, and having a discussion with them can help you find a place that meets their needs. We often refer to “assisted living facilities” like it is a single kind of place. In reality, there are actually many different kinds of facilities and arrangements that you can make for your parents. Having a discussion with them beforehand will help you find the option that is best. Different kinds of communities may focus on different kinds of lifestyles, for instance, and your parents likely have strong feelings about where they want to live (and who they want to live with). Try to keep all of the options open in your discussion. If your parents are willing to move to a different state, there may be more affordable options. And many choose to move to a state like Florida simply for the sunnier climate in their golden years. Now we come to the bluntest question: money! Most children are not able to pay for elder care on their own. Therefore, you must find assisted living facilities that line up with your parent’s working budget. To this end, you need to know how much money they have for elder care. It’s also important to know how easy it is to get access to that money: things like liquid investments could change dramatically from one year to another. Your parents may pay for their own elder care partially through funds within their IRA. If you or they need more information on how to start that process, you can check this website. Let’s be honest: not all parents are immediately receptive to the idea of assisted living facilities. That’s why it is important to talk about quality of life. The bottom line for everyone is that your parents want to be as healthy and happy as possible during these years. So it’s worth discussing whether such a facility would enhance their quality of life or not. You might emphasize that a facility doing things like preparing meals would give your parents more free time to pursue their hobbies. And they may be happier surrounded by peers instead of alone in their house. Finally, they might be relieved at the thought that they are constantly surrounded by people who can help them if they need it. That peace of mind alone may be worth the price of admission. We’ve alluded to this a few times so far. But let’s be explicit: you need to do all of your research first. There’s a chance that your parents may be emotional about the conversation. The best way to counter that emotional response is to be prepared to have a nice and rational conversation. You can only be rational if you already have as much info as you can get about facility options, pricing, and so on. And providing all of this info to your parents will give them a better sense of control, which is great for keeping the conversation going. We talk about “the conversation” regarded assisted living like it is a single conversation. In reality, this should be an ongoing dialogue with your parents. Don’t feel like you have to cram everything into one conversation. And don’t try to force your parents to make a decision after just one talk. Like any other big decision, this is going to take time. Be sure to give your parents as much as they need! Now you know the many benefits of assisted living facilities. However, it may take a while before you and your parents are ready to choose one. In the meantime, you may need to brush up on your housekeeping skills to help maintain their home. At Picklee, we’re here to help: check out our housekeeping tips today!